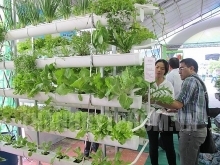 Improving the quality of domestically-produced goods is critical for Vietnam to compete with imported products from and narrow the trade deficit with Thailand, according to the Ministry of Industry and Trade (MoIT). Statistics from the ministry’s Department of Asia and Africa Markets showed that Vietnam ran a trade deficit of 3.5 billion USD with Thailand in the first eight months of this year, a rise of 15.6 percent over the same period in 2016. Two-way trade totaled 9.64 billion USD in the period. Vietnam mainly imported electric household appliances, fruit, automobiles, petrol and oil, plastics and car components from Thailand. Given the increasing trade deficit with Thailand in recent years, from 3.25 billion USD in 2009 to 5.16 billion USD in 2016, the MoIT was seeking measures to improve exports to Thailand and gradually move towards a trade balance with this country. Le Hoang Oanh, Director of the Asia and Africa Markets Department, said that Vietnam was working to cut tariffs following commitments to the ASEAN Trade in Goods Agreement, according to which, many imported products from Thailand would enjoy preferential tariffs. Currently, Vietnam has removed nearly 90 percent of tariff lines, and would increase this to 98 percent by 2018. 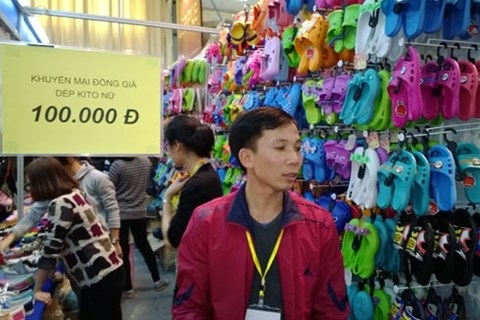 Oanh said Vietnamese consumers now preferred made-in-Thailand products because of their higher quality and lower prices compared to Chinese products. In addition, big Thai retailers, such as Central Group and TCC Group, were expanding in Vietnam following acquisition deals to create favourable conditions for the sale of made-in-Thailand products. Thailand also regularly organised trade promotion activities in Vietnam with dozens of trade fairs held in big cities every year. According to Bui Huy Son, Director of the Trade Promotion Agency, running a trade deficit with a market in the integration progress is a normal thing. “It’s more important to boost exports to Thailand and develop trade in a sustainable way,” Son said. Vietnam should not focus on preventing imports but instead, improving the competitiveness of domestically-produced goods, he said, adding trade promotion activities in Thailand should also be accelerated. According to Oanh, Vietnam should boost cooperation with Thai retailers to put more products on shelves. In addition, Vietnam should tighten management on imported products from Thailand to ensure food hygiene and other required standards are met. Minister of Industry and Trade Tran Tuan Anh asked relevant departments to identify the reasons why Vietnam was running a large trade deficit with Thailand, while Thai products had not penetrated widely in other ASEAN countries like they had done in Vietnam. Disagreeing with the establishment of technical barriers to narrow the trade deficit, Tuan Anh said that this was not a tool to prevent imports but to improve the quality of domestic products. “Enhancing product quality is vital in rapid integration,” he said.